6 туриста са резервирали днес. Имате въпрос към Karashy Boutique Hotel Seoul? Удобно разположен в Сеул, Karashy Boutique Hotel Seoul е чудесна стартова точка, от която можете да започнете да проучвате този оживен град. Оттук гостите имат лесен достъп до всичко, което този оживен град може да предложи. Добре поддържаната околност и доброто местоположението в близост до Agape Kidok Baekhwajeom, Bangbae Kidokkyo Bakhwajum, Saehaneulgidokgyobaekhwajeom са част от специфичния чар на този хотел. Съоръженията и услугите предлагани в Karashy Boutique Hotel Seoul гарантират Вашия приятен престой. За удобството и комфорта на гостите хотелът осигурява безплатен WiFi достъп във всички стаи, 24-часова охрана, ежедневно почистване, индивидуално настаняване/напускане, таксиметрови услуги. Насладете се на висококачествените удобства по време на престоя си тук. В някои стаи са на разположение телевизор с плосък екран, пречиствател на въздуха, безплатно разтворимо кафе, безплатен чай, огледало, които ще помогнат на гостите да релаксират след дългия ден. Хотелът предоставя най-добрите съоръжения включващи гореща вана, спа, които ще Ви помогнат да отпочинете след активен ден прекаран в града. 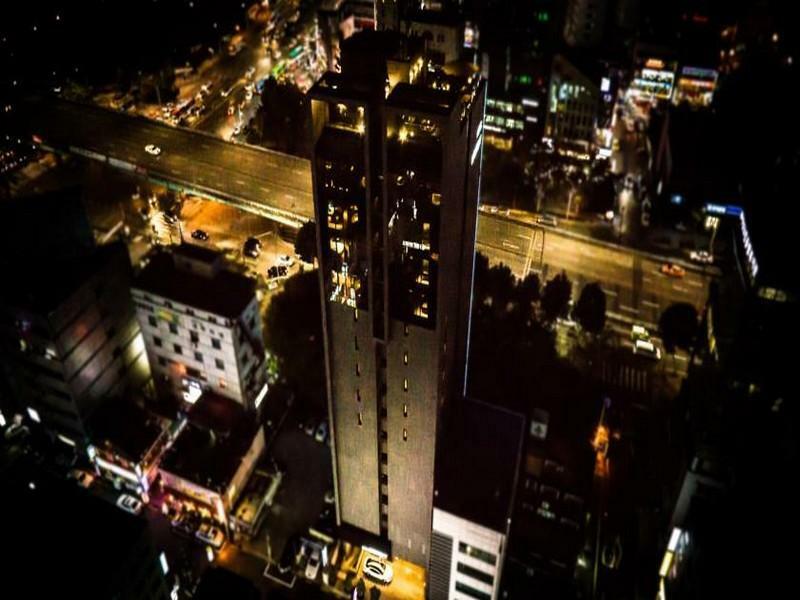 Karashy Boutique Hotel Seoul е добър избор за всички посетители на Сеул, защото предлага спокойствие и безпроблемен престой. Закуската се сервира от 07:00 до 10:00. Spa is available only in the Garden Spa Suite. All rooms are designed differently. Rooms can be assigned randomly upon check-in time. Отель нам подошел так как находится в 10 минутах от клиники куда мы приехали. Очень интересный и последовательный дизайн. Куча закусочных на любой вкус рядом с отелем. Метро - 1 минута ходьбы. Номера маленькие, но чистенькие. Location is good, at Exit 8. Only if you get to the correct exit. The only thing is that there's no elevator at the exit when you just arrived with a big luggage. Have to carry up through stairs. Even though it's not located at tourist spots like ewha, hongdae, myeongdong, etc., but it's still quite convenient as the station(Sadang Station) is connected with two lines, which can easily travel to tourist spots. Not to worry about food when you suddenly feel hungry, there's lots of restaurant downstairs along the street. There's convenient store too. Only can check in at 3pm. No early check in. Hotel elevator is small, but the music is calming. It would be great if the music keep playing along the corridor. As the time "spent" in the elevator will only be a short time..less than 5 mins.. Room is comfy. Manual for TV channels are not stated correctly. Toilet, Bathroom, Washroom all separated. Staffs are friendly. Able to communicate in English. Wonderful experience, excellent service from the reception through to the staff cleaning the rooms. We had an amazing view from our high storey room and enjoyed the lovely bathtub. The only negative I could give is the small sized meals when ordering room service.....I was still left hungry :) However there are many eating and drinking venues nearby which were awesome. Enjoy! This was a very impressive hotel that I stayed in. Karashy has been nothing less than perfect. I loved the room and the whole feel of the hotel. Stepping into this hotel when I first arrived, the atmosphere was comfortable and sleek. Room was very very spacious and comfortable. Love the in-room jacuzzi and the bath tub, of course together with the view. Around the hotel there are loads of food places to have traditional korean food. Best part is, this is in a quieter part of Seoul and that it is just right beside Sadang station. 20 minutes direct train ride to Myeongdong and situated very conveniently to Dongdaemun or Hongdae. I will definitely want to come back to this hotel to stay and I would recommend this hotel to anyone anytime! The hotel is surrounded by a lot of restaurants and drinking places. A little walk from the subway. If you have luggage take the exit 10 for the elevators or escalator or else exit 8 is closer but all stair. The A/C is not very cold consider I was there for the hottest days of the century. There's also no A/C in hallway or elevator. The room is quite small and the hotel is not really recommended for family. Staff was very friendly and nice. Exit 8 at Sadang station makes it very easy to find. The place was clean and the bath was great. The girl at the front desk was super helpful and she helped us change our room and order fried chicken!! The other staff were friendly too. Overall our experience was great as the hotel is not located in central Seoul but in peaceful suburb with line #2 and line #4 Metro so transport is still convenient. Second time at this hotel and will most likely stay here again. Love the scent in hotel. The room is small but big enough. the bathroom is awesome with a huge tub. Beds are comfortable. Can be a bit pricey but its worth it! Looking forward to my next stay! the room was really fantastic, clean and comfortable I stayed here for two nights. The room was cleaned up every day and the towels and shampoo were changed to new ones every day! Really nice place to stay. I will come certainly again if I come to Seoul again! The hotel was less than a block from Sadang station. Some of the staff spoke English and the on-site restaurant was a tad pricey but good. The reservation included the buffet breakfast which was pretty good. Everything from fruit and yogurt to eggs and sausage..even some smoked salmon. the beds were a bit firm but comfortable. The tub was the highlight by far. I would definitely stay here again. it's an excellent hotel to stay. Below are two things that can be improved though. 1. There is practically no storage space for clothes except three hangers in an open space. I had to put all dirty clothes back in my suite case since I did not have a separate bag with me. 2. In Winter room is fairly dry. I did not ask if they have one but a humidifier would be a nice item to have in room. Every things are good to me in this hotel and meet my expectation. Sure we are not comparing with 5-star hotel, but value for money to my stay. Great location at Sadang station with two main lines served. Nearby restaurants are sufficient to meet different customers needs. Just one small issue during my stay was the sudden insufficient supply of hot water. After technician fixing, it resumed normal. The hotel should make sure of sustainable supply of hot water. Sudden cold water pouring over head during bath is really annoying in cold winter. The 3mins walk from hotel to Sadang station makes it easy to travel around Seoul. Hotel is surrounded by lots of neighborhood restaurants and cafe. WiFi is very fast. Love the overall black theme design of the hotel & rooms. Staff is helpful & can speak a bit of English. My only concern is the lack of inroom safety vault and wardrobe cabinet. Overall, love the stay & would come back again. The room we had was type small. I really loved the bath tub. My husband and I enjoyed it. Friendly staff. Very, very dark; calm atmosphere. A lot of restaurants and bars around the area. Since there was no ac on the room was 28°C, and the window had to be open to cool down. Also, I could hear everything our neighbors were doing at night. It was a cheap room but was not worth what little we did pay. Great friendly staff but overall would not recommend. We went to the VIP room but the sinks did not work so we had to walk all the way over and wash our hands in the shower or the kitchen sink after using the bathroom. Management did not provide any amenities for the trouble. Would not visit again. My second time in this hotel, will come again! Very happy with the service, hotel amenities, bed and toiletries. Near Sadang subway, direct train to Seoul Station, Myeongdong and many others, great for shoppers! !